Even the largest shade can be opened and closed with minimum effort. Samara opens and closes with ease by turning its removable crank handle. Samara is an attention grabber with its expansive coverage up to 24m2/258ft2. Canopies are available in more than 80 colors. Frames are available in more than 200 colors. Colors and additional manufacturing (valances, wind hood, etc.) options can be combined to get a unique sunshade. 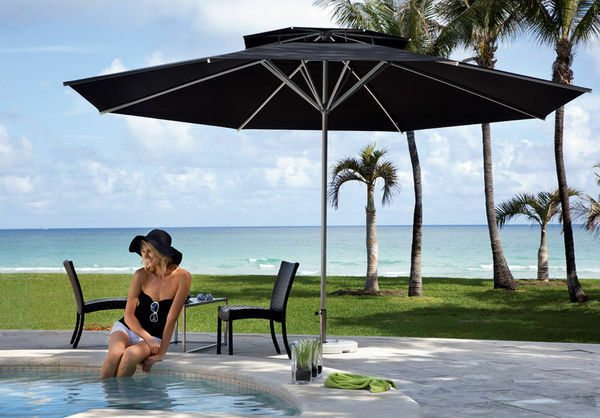 Every CARAVITA patio umbrella is custom made.